Here’s an illustrated manual that has everything anyone would need to know about mapping and computerizing cemetery records and a whole lot more! 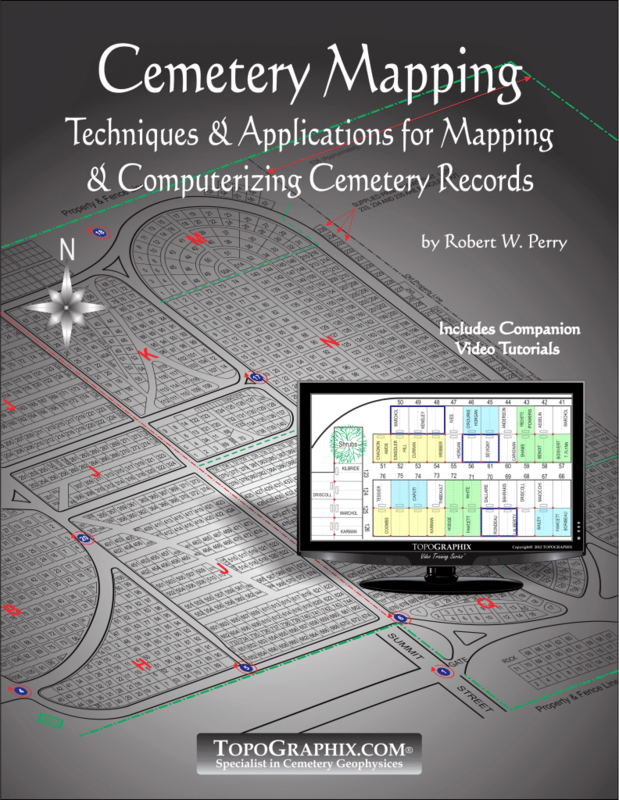 Since 2001, my business has focused on mapping cemeteries and burial grounds throughout the United States and the framework for the services I provide have been put into a step-by-step training manual and video series called Cemetery Mapping-Techniques and Applications for Mapping and Computerizing Cemetery Records. This media combination is a work in progress and covers all phases of cemetery mapping from site surveying and computerized drafting to the software applications I use every day in my business. This one of a kind publication includes video tutorials on each subject covered as well as how Ground Penetrating Radar, Satellite Imaging and Robotic Mapping is used to, locate and map unmarked graves and open burial space. This is a must-have for cemeterians, cemetery managers, as well as municipalities and professional that services the cemetery industry.